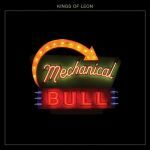 It's hard for me to rank KOL albums. They all seem to have a solid consistency about them, and so they continue here. The interesting thing about this is it finishes very solidly, and in fact probably bottoms out a bit in the middle (although I do like 'Wait For Me'). I'd say 'Supersoaker', 'Tonight' and 'Wait For Me' are the standouts. Ich werde mit den Jungs nicht warm; die Gitarre zu schief, die Stimme zu kreischend. 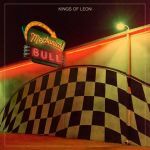 A solid rock album.<br><br>I've never listened to a Kings of Leon album the whole way through, but I've heard a few singles from their previous albums, particularly "Only By The Night".<br><br>Listening the whole thing through, I must say that the first five songs are absolutely brilliant, and I was thinking that I was on the cusp of putting this as one of my best albums of the year, perhaps in the top 5, which would be a great feat in a year where I've rated albums generally highly.<br><br>But, from the sixth track onward, it slows down a bit too much for my liking. The songs are still quite good, but doesn't finish off the excellent platform the opening tracks gave them.<br><br>In saying that, none of the songs in the second half of the album were bad. No, not even close, just a bit of a let down.<br><br>Due to that second half, it doesn't even land it my top 10 albums of the year so far, despite it's high rating.<br><br>Had it sustained its opening the whole way through, this may have been my favourite album of the year.<br><br>The highlights were "Don't Matter", "Rock City", "Temple" and "Supersoaker".<br><br>4.75*. Another very enjoyable effort from the group, they're consistently very good and this doesn't stop that run. I do find this to be a little slower as a whole than most of their albums, but it generally doesn't drag the album down since there's enough pace in some songs to keep it going and the slightly slower pace often works better for them anyway. Supersoaker and Comeback Story are my standouts. This is definitely my favourite offering from them to date, although I haven't heard their first two critically acclaimed albums... I love that they slow it down here since their slow songs tend to be my favourite from them. Several standouts here, but I did really enjoy Family Tree, Comeback Story, Wait For Me and Tonight. Really good effort. Vielleicht das poppigste ihrer bisherigen Alben und trotzdem oder vielleicht gerade deswegen trifft es voll meinen Nerv. Und das tolle dabei ist, dass es eben trotzdem voll nach ihnen klingt.